A prison ship is invaded by… yup… Force Wielding Zombies. I haven’t read it yet, but it’s on my To Do list. is that cannon? I can’t believe that it is. For anyone interested, that’s actually me in the costume. 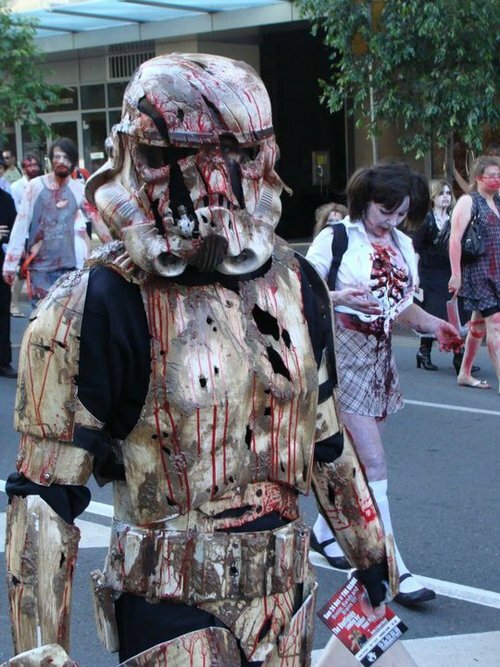 Photo taken on the Brisbane Zombie Walk in October last year. Oops, I’m an idiot. I posted the same video link twice. The above are of the actual Zombie Walk. This: www.youtube.com/watch?v=pfIaaZo3PAI are stills of the costume the first time I ever wore it. I could understand the image which you have shared. Can you please tell us which message you want to convey through this picture?